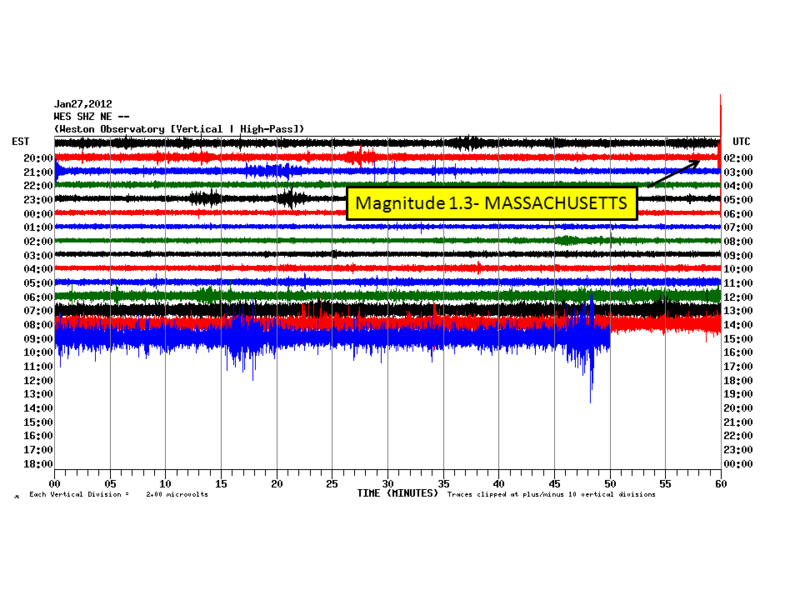 Weston Observatory seismometers recorded a M2.5 earthquake located 64km east of Rockport, Massachusetts. This earthquake occurred at 10:31pm Saturday, September 15th. 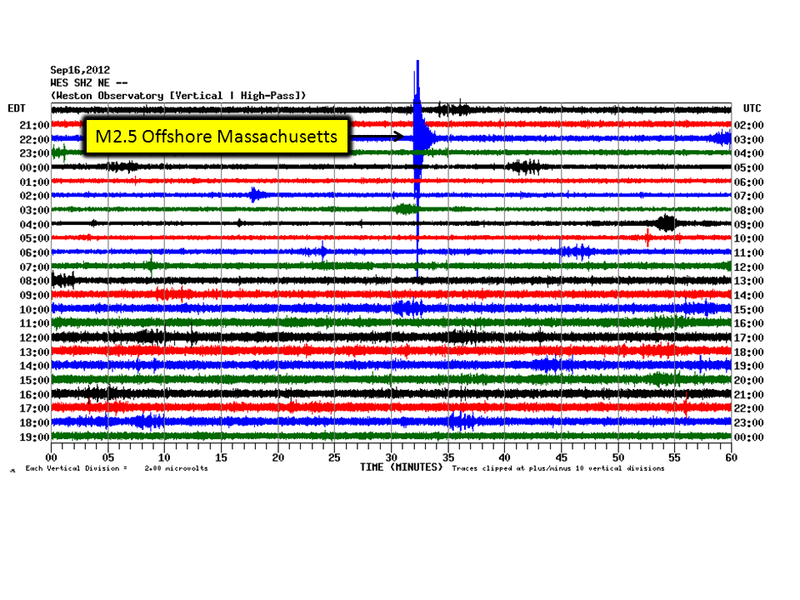 The seismogram below is from the WES seismic station, located in Weston MA. Weston Observatory seismographs recorded a Magnitude 7.4 in Oaxaca, Mexico. 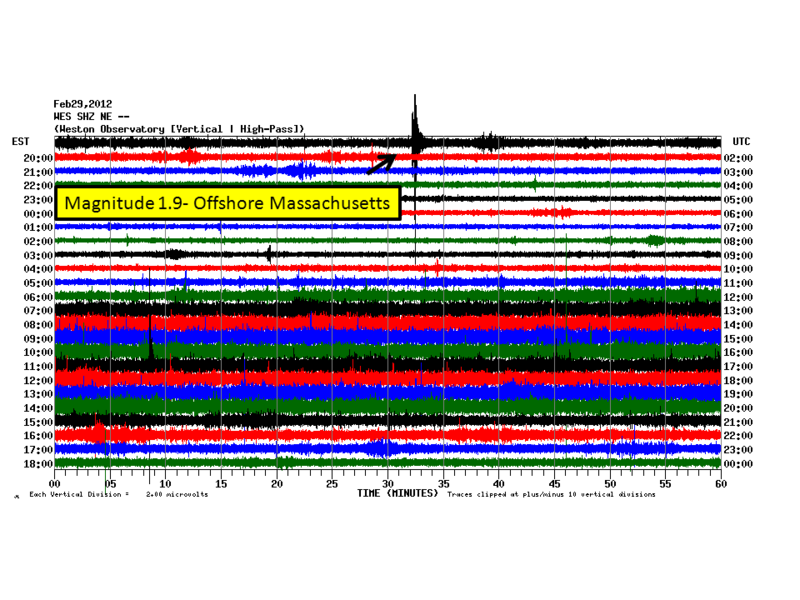 Weston Observatory seismographs recorded magnitude 1.9 earthquake located 43 km east of Rockport MA. The event occurred at 7:32 pm EST on Feb 28th. 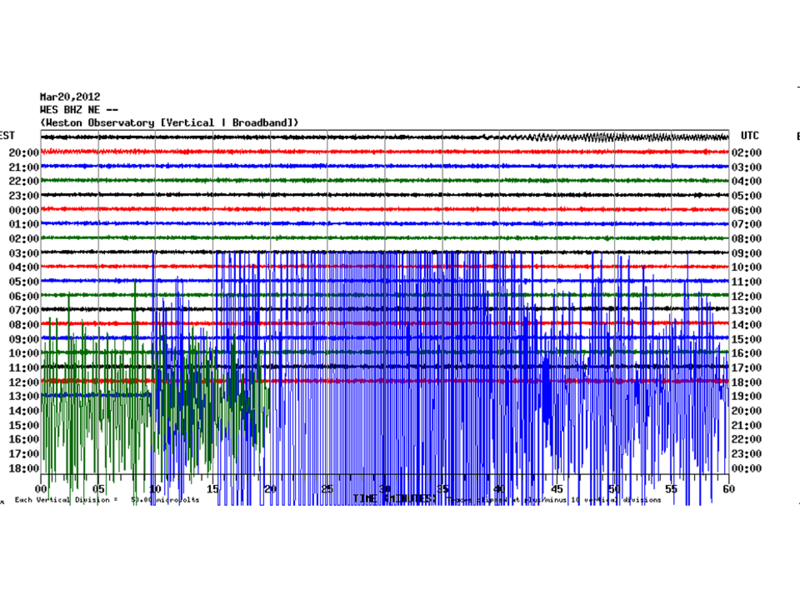 Below is a seismogram of the WES seismic station. 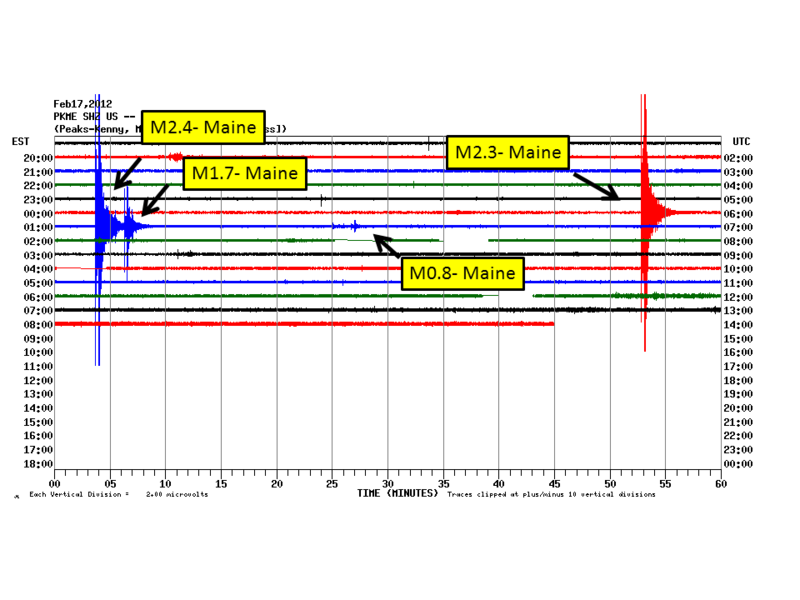 Weston Observatory seismographs recorded several earthquakes near Machias, Maine during the morning of February 17. There have been 6 earthquakes recorded so far. The 4 largest can be seen on the seismogram below. The first is a magnitude 2.3 occurring at 12:52 AM EST, the second is a magnitude 2.4 occurring at 1:03 AM EST, the third is a magnitude 1.7 occurring at 1:40 AM EST and the fourth is a magnitude 0.8 occurring at 1:26 AM EST. 2 more earthquakes are too small to be seen on this seismogram. 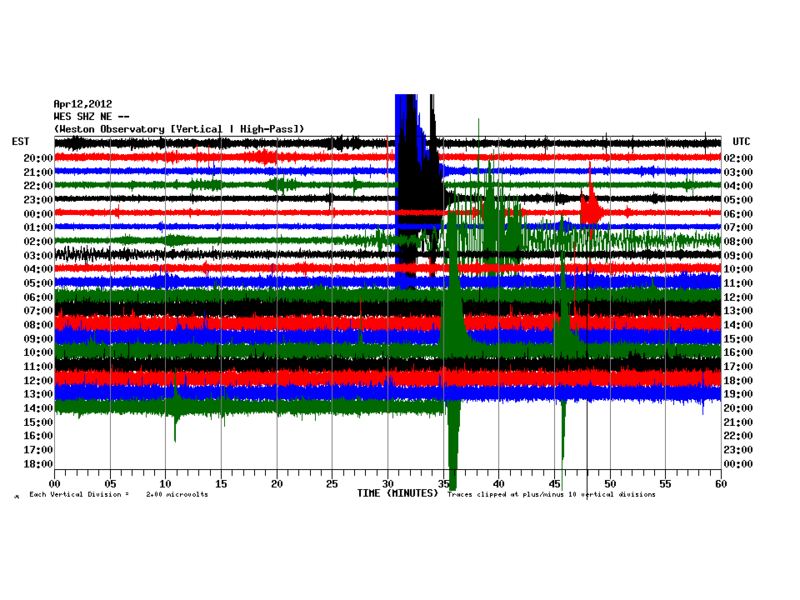 Below is a seismogram of the PKME seismic station located in Peaks-Kenny State Park. 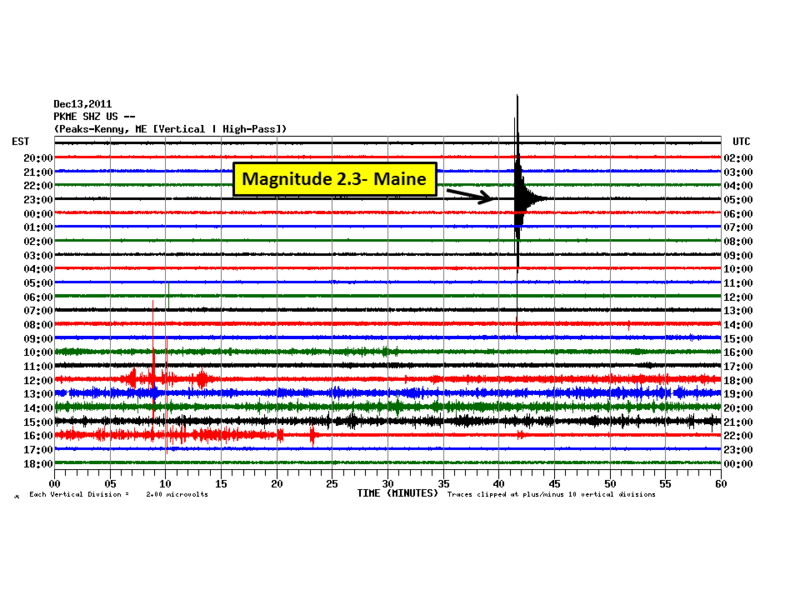 Weston Observatory seismographs recorded a magnitude 2.3 earthquake near Sedgewick, ME, just 16 miles ESE of Searsport, ME. As of Wednesday, Dec. 14th, nearly 40 people have reported feeling this earthquake. 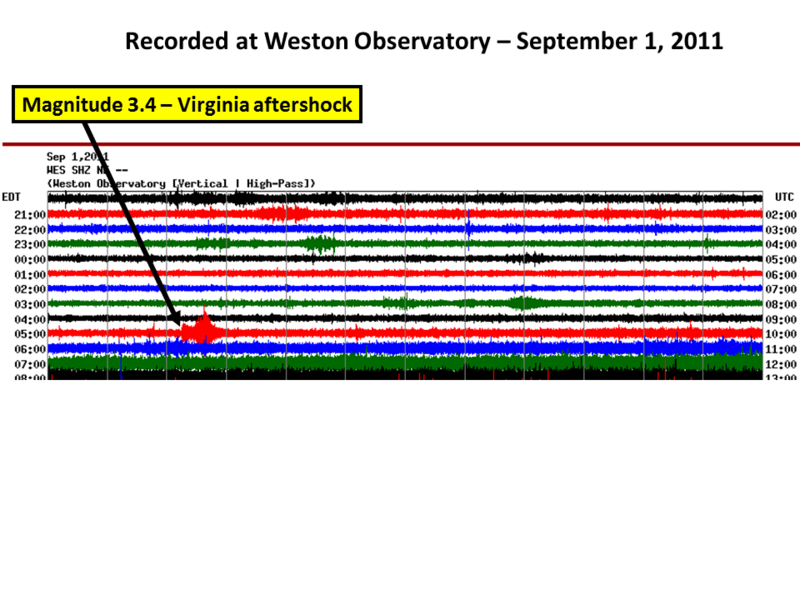 Weston Observatory seismographs recorded a magnitude 1.4 earthquake on 12/5/2011 at 12:34 am EST in Northampton, MA. 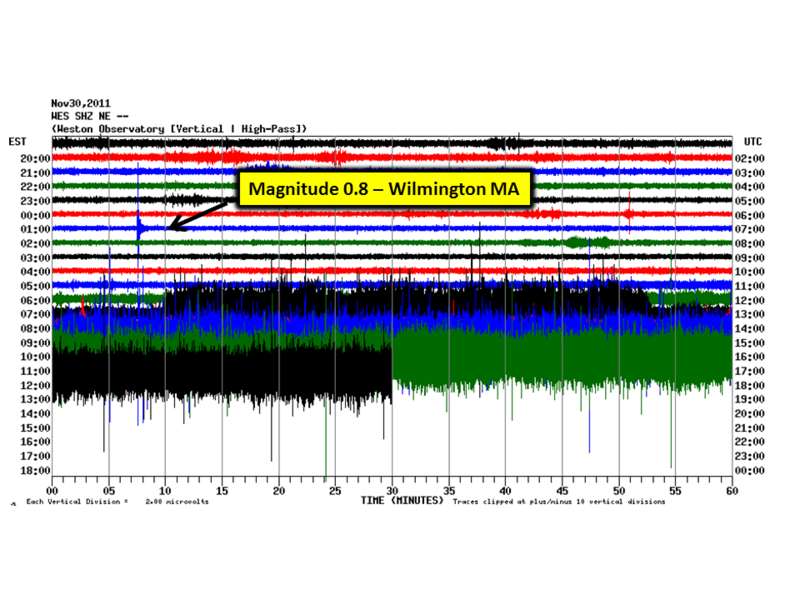 In addition, a magnitude 0.8 aftershock was also recorded at 12:43 am EST. 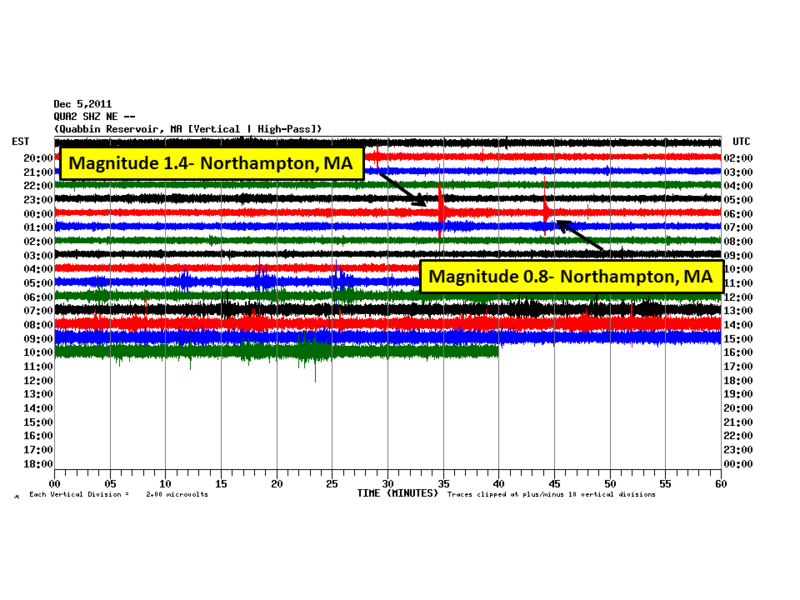 Below is a seismogram of the QUA2 seismic station located in Belchertown, MA.